It’s summer, and we are doing some exploring again around Ellensburg. 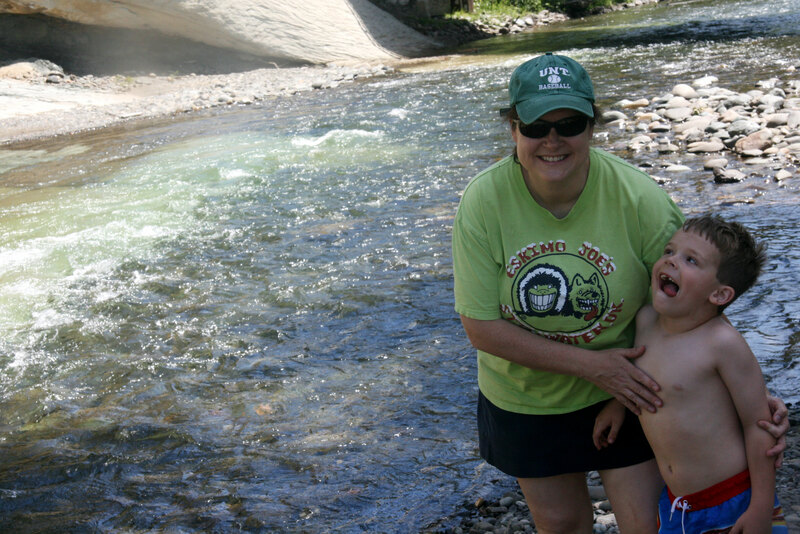 A week or so ago we went to the Teanaway River. It’s only about a 35-40 minute drive from our house. It’s a beautiful 35-40 minute drive too. 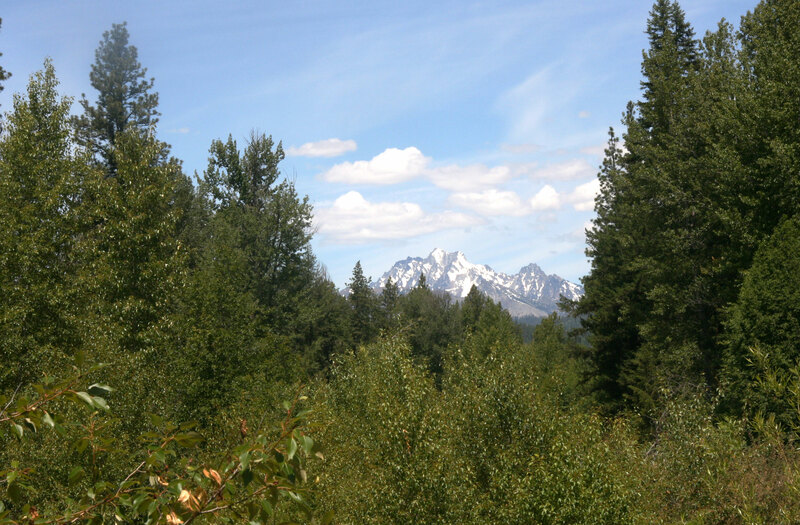 We went to the Teanaway Community Forest. There are several campgrounds there and more river exploring to be done in the future. As we started to look around, we crossed a bridge and down below there was a really pretty rocky beach. There was parking right there too, so we decided to stop, have our picnic, and play. The river is beautiful. 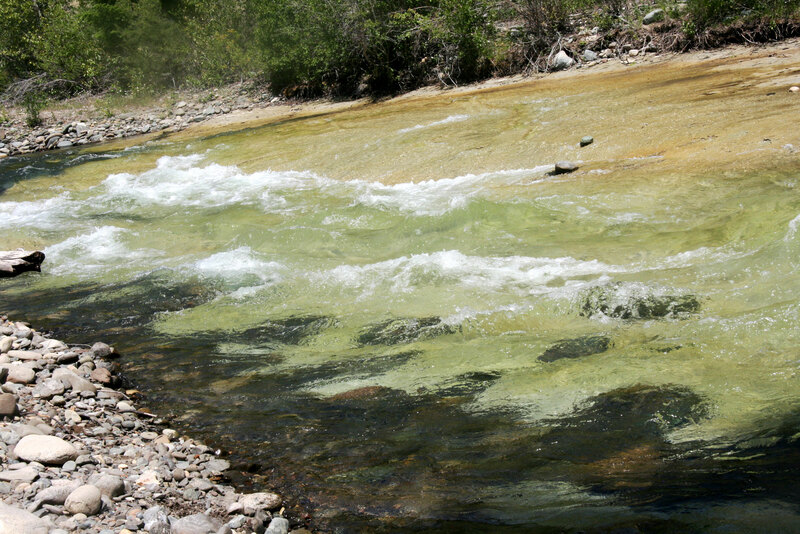 There’s this smooth rock and where it meets the river, it makes for a really interesting green looking water. We had a great view of the mountains too. I like that mountain. It’s so craggy. We had our lunch and then Davey found some new friends to play with. There were a couple of other families there for awhile, and the kids immediately began playing hide and seek. I love Davey hiding in the flowers. 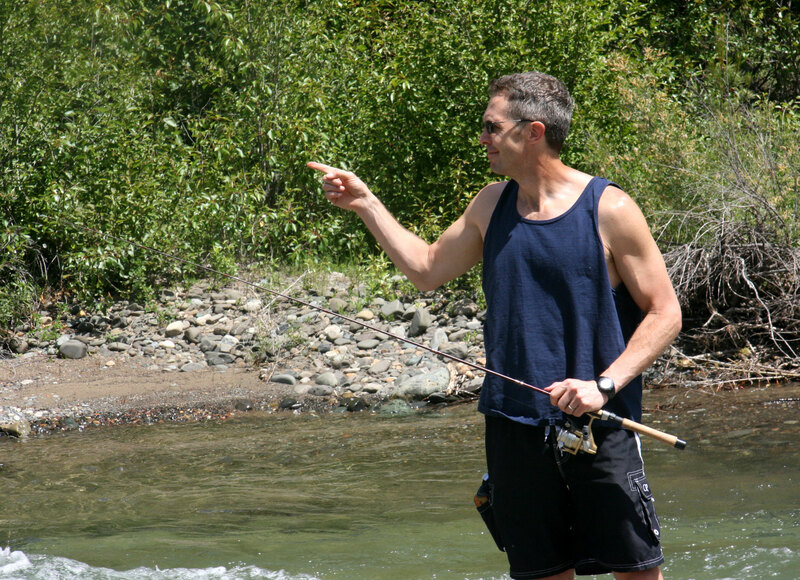 David decided that he was going to try out the fishing. While David was fishing (and not catching anything, but having fun anyway), Davey and I explored and played in the water (the kids left not too long after we got there). Davey happened on a big limb. He named him “Stickie”. We had to take care of Stickie (proof that Davey can imagine with absolutely anything). We released him to the river, but then we had to go “rescue” him about 50 yards down the river. Davey wanted to bring Stickie home, but I told him that he’d probably still be on that beach waiting for us when we returned. He was a little unwieldy to carry around much. 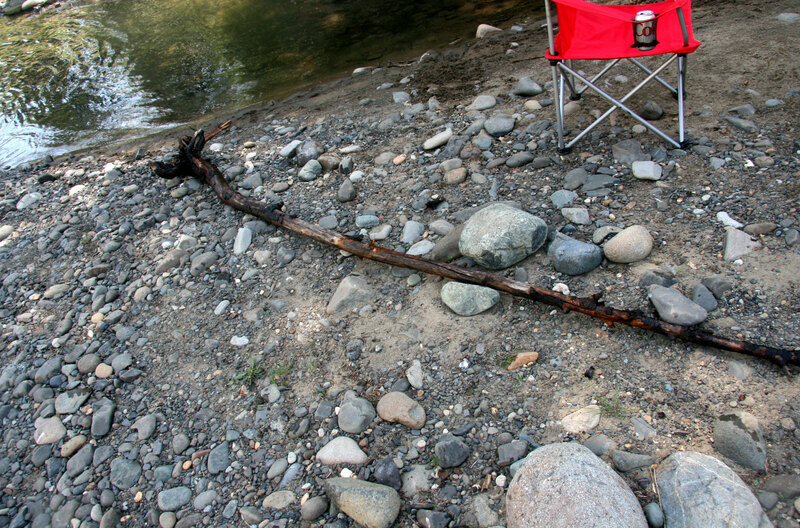 (the stick not Davey although Davey is getting unwieldy too these days). Davey spent a week where he was pretty much a puppy human. He’s coming out of it now for the most part, but he was full on puppy for awhile when we were at the river. I am looking forward to returning to the Teanaway. It was a great spot for Davey to play. Great rocks for throwing, sticks to gather and pretend with, oh and we did see a snake. I was very proud of my calm reaction. The snake freaked out Davey a little, but I tried to explain how the snake just wanted to get away from us (inside, I wanted to run screaming the opposite way myself!). I think I convinced him to return to the river with us (Davey not the snake!). 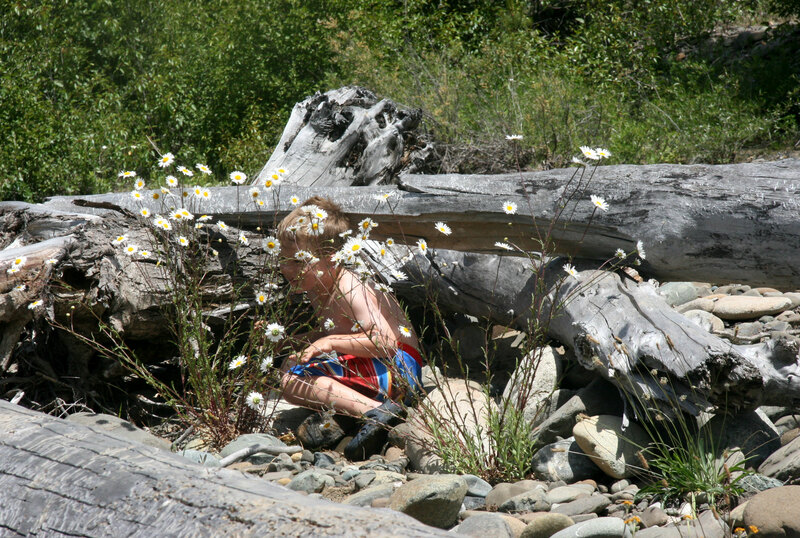 This entry was posted in Explorations and tagged Teanaway River by cpeezers. Bookmark the permalink.